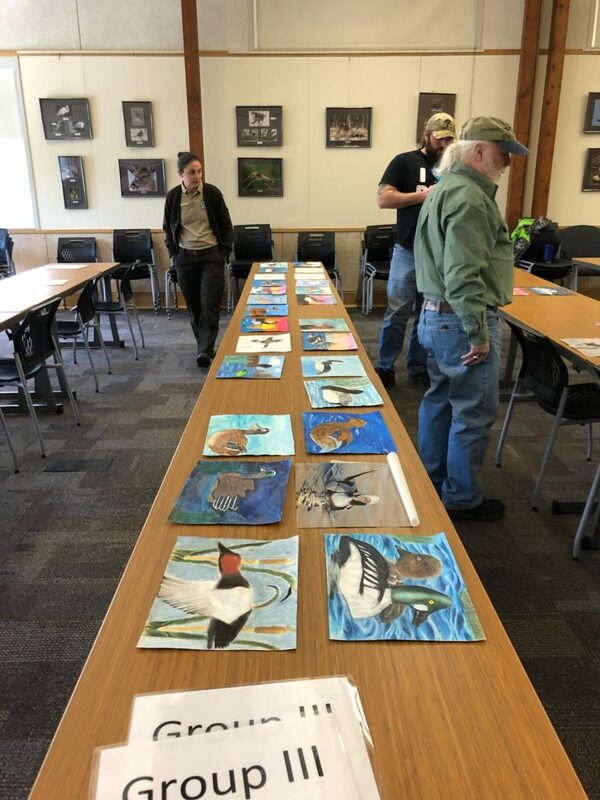 Marissa Ziobro | Art Sphere, Inc.
Today I had the great pleasure of being a judge in the Duck Stamp Contest at John Heinz Natural Wildlife Refuge! I would first like to start with, if you have not visit this place, get over there! The area is obviously beautiful, and the visitor center there is just as amazing when you walk in. You are hit in the face with information on the wildlife around there, along with amazing and informative displays of nature. Now back to the ducks, all the art that was submitted was amazing and came from all different age groups and had their own categories. 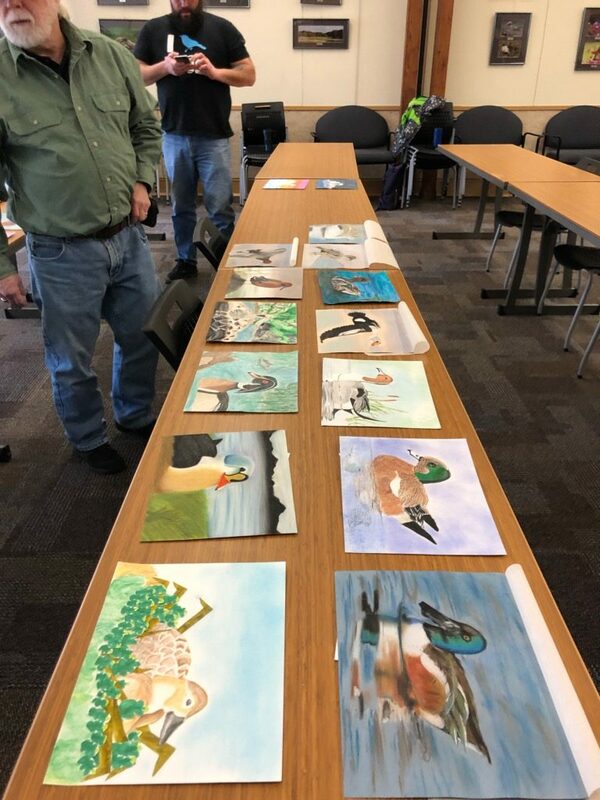 There were five judges, including myself, that got to read different conservation statements from the submissions along with view the portraits of ducks. Overall the experience was fun and exciting to see all the kids who went ahead to participate in the contest! If you ever have the time on a nice day, go check out the John Heinz Natural Wildlife Refuge! Share the post "Junior Duck Stamp Program!" Fishtown Sock Puppets Come to Life! Printing Paint Patterns at Cione!